Geordie Williamson is a world leading mathematician in the field of geometric representation theory, (the study of linear symmetry). Among his many breakthrough contributions are his proof (together with Ben Elias) of Soergel's conjecture (resulting in a proof of the Kazhdan-Lusztig positivity conjecture from 1979), his discovery of counter-examples to the James conjecture and to the expected bounds in the Lusztig conjecture, and his new proof of the Jantzen conjectures. 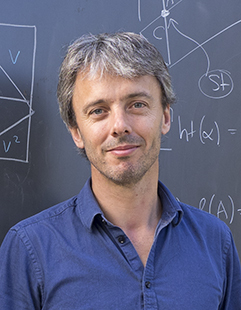 In recognition of his contributions, in 2016 he received the Chevalley Prize of the American Mathematical Society, the European Mathematics Society Prize and a Clay Research Award. In 2017, Williamson received the New Horizons in Mathematics Prize. He was elected as a Fellow of the Royal Society in 2018.